Teresa Petty-Jones, a lifelong resident of Fresno County, received her B.A. Degree in Business from the University of Phoenix and her J.D. from San Joaquin College of Law in 2007. She opened the Law Office of Teresa B. Petty-Jones in December 2008 in old town Clovis, California. 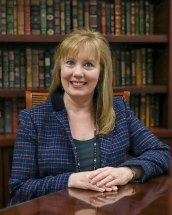 She began her legal career long before law school, working as a paralegal for some of the area's top law firms. Teresa has also taught in the paralegal program at Fresno City College. Teresa dedicates her law practice to estate planning, asset protection, elder law, and probate. She is dedicated to providing quality legal services, including information and resources so her clients can make wise and informed decisions regarding their future. She is a member of the National Academy or Elder Law Attorney's (NAELA); California Advocates for Nursing Home Reform (CANHR); Elder Counsel; and the Wealth Counsel. Teresa enjoys her work with families and professionals as she educates them about important estate planning and older law issues. She prides herself in assisting seniors and their family members avoid the devastating financial effects of long term earn.